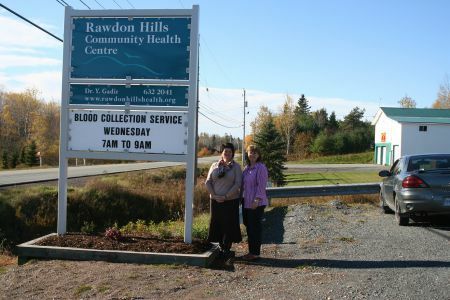 KJIPUKTUK, HALIFAX - The Rawdon Hills Community Health Centre, after providing health care service to the people of rural East Hants for almost fifteen years, is in the fight of its life. And so far our provincial government isn't helping. It all started when the resident physician, who anchored the Rawdon Hills non-profit clinic, announced that he was leaving. The physician is moving to Kennetcook, a community some 15 kilometers away, to join two other doctors in a newly built building owned by the local pharmacist there. Not having the rental income from the local doctor is a heavy blow to the clinic, Kathie Blois, manager of the Community Health Centre, tells the Halifax Media Co-op. If the clinic does not recieve some core funding from government it will cease to exist, she says. The clinic is there thanks to countless hours of fund raising and volunteer work by the community, she says. The clinic owns its building. It was built by community members who donated their labour. The Health Centre's board of directors also managed to attract a physician willing to work in this part of rural Nova Scotia, which is no small feat. If the clinic is forced to close, than that will also spell the end of the mental health and occupational therapy services it provides. Blood collection, a foot care clinic, and the community health nurse will pack up and relocate. 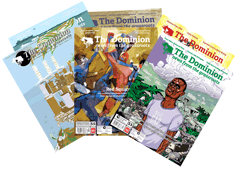 Its demise will leave a void in a struggling rural community that will be difficult to fill. Local residents are angry, both because of the looming closure of the clinic as well as a lack of community consultation, the Hants Journal reported earlier. “There were secret meetings that started five months ago but no one involved the board of our health centre, no one involved the patients of our health centre, no one knew anything about it, and now, all of a sudden, people are being told this is what's going to happen,” Eleanor Roulston, the East Hants municipal councillor, is quoted as saying. As well, there are suggestions that more stringent policies recently put in place by the Colchester East Hants District Health Authority played a role in the decision to move by the three physicians. The Colchester East Hants Health Authority did not respond to our questions, but provided a handout that was distributed at the Rawdon community meeting. The document talks about how the move will bring better access, more hours, and other benefits. But what will be lost is the innovative approach Community Health Centres bring to health care delivery, says Blois. There are a couple of things that make our approach to primary health care unique, says Scott Wolfe. Wolfe is the executive director of the Canadian Association of Community Health Centres. “Take a patient with diabetes, for instance. We would provide access to a physician, but also to a dietitian, counseling programs. And that is just the critical care piece,” says Wolfe. Provinces like Quebec and Ontario have robust funding models for Community Health Centres, and they are integrated in provincial health care strategies to a large extent, Wolfe says. But in other provinces the Community Health Centres are more like an afterthought. Unfortunately Nova Scotia is one of those provinces. That's why the continuing existence of the Rawdon Hills clinic is now in jeopardy. The forty or so Community Health Centres in Nova Scotia by and large do not receive any direct funding from the province. The physicians and nurses who work there receive alternative funding directly from the various Health Authorities, bypassing the clinics. “We're pushing the province to provide some form of core funding directly to the Community Health Centres, says Blois, who is also the Chair of the Nova Scotia Federation of Community Health Centres. Health and Wellness Minister Leo Glavine was very supportive of the work that we do, Blois tells the Halifax Media Co-op. Before the elections the Liberals committed to meeting with the Federation and talk funding and policy. We'll start those discussions once the nine District Health Authorities have been consolidated into one, writes Tony Kiritsis, a spokesperson for the Department of Health and Wellness. “Once the structure is in place and the new Nova Scotia Health Authority is operational we can look toward working with CHCs to start developing a provincial policy framework,” writes Kiritsis. Residents of Rawdon Hills fear that will be too late.